The TOCCOtron SS is a family of solid-state radio frequency power supplies developed byAjax Tocco for higher frequency induction heating requirements. Applications include processing small parts where narrow heat patterns must be precisely controlled, as well as, a broad range of related automotive and industrial heating tasks. 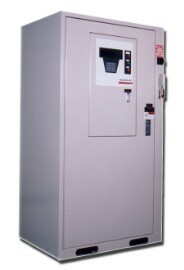 The standard control for the TOCCOtron SS MPC power supply is a shop floor programmable,microprocessor-based system. Job set up is as simple as entering keyboard data and verifying values on the oversized alphanumeric display. In addition, the microprocessor prompts the user on proper loadmatching.